During the second annual summit on the Niger Delta Cleanup, experts discussed the connection between development, social wellbeing and environmental protection. 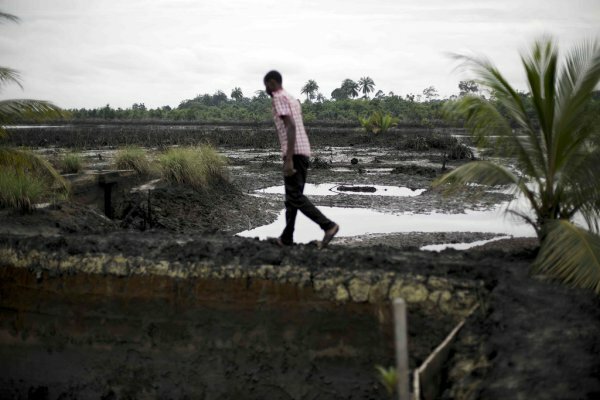 They concluded that the cleanup of the Ogoniland oil spill would boost the oil and other sectors of Nigeria’s economy, delays on the cleanup were condemned. Moreover, experts have pointed out the approaches for the development of the region must focus on human development, justice and equity. The commencement of the Ogoniland oil spill cleanup till its conclusion will be a major boost to the oil and other sectors of the nation’s economy. It was organised by the Civil Society Legislative Advocacy Centre (CISLAC), the African Centre for Leadership, Strategy and Development (Centre LSD) and the Catholic Organization for Relief and Development Aid (Cordaid). Speaking at the opening of the summit, the Executive Director of CISLAC, Auwal Musa Rafsanjani, said that government’s response over the years, characterized by legal, military, project and agency responses have failed to arrest the underdevelopment and degradation of the region. According to him, any approach for the development of the Niger Delta must focus on three issues: human development, justice and equity. Also, the acting Executive Director of the CentreLSD, Mr. Monday Osasah, said that once the route to environmental wellbeing begins, it becomes easy to carry out. “The postponement of the cleanup commencement and non-completion of the emergency measures does not portend good for the people of Niger Delta and the country at large particularly with the availability of the sum of $180m in the project account,” Osasah said. The Coordinator, Cordaidprogrammes in Nigeria, Dr. Akin Oke, commended the political will to undertake the cleanup, but regretted that the exercise is painfully slow.